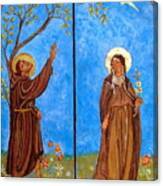 There are no comments for Francis And Claire Triptych. Click here to post the first comment. 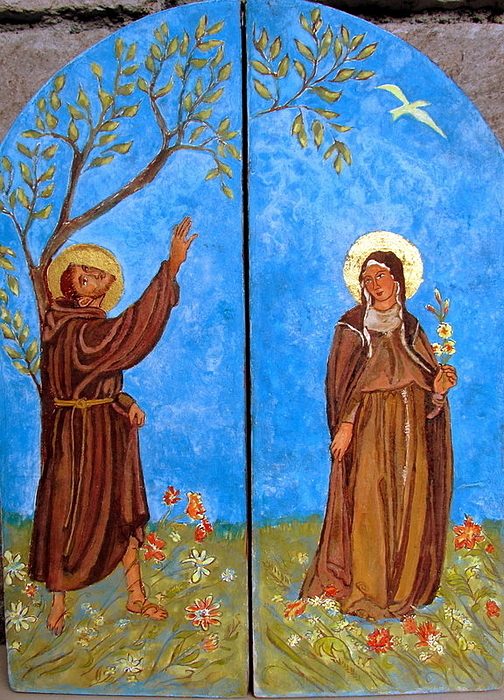 Saints Francis and Claire Tryptich, egg tempera on gessoed wood. 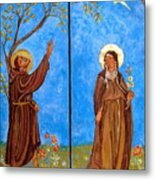 Entering into God's Presence through reflection on the lives of Saints Francis and Claire and their appreciation of Creation causes me to slow down with wonder as love and joy bubble up. The technique of Egg Tempera involves quite a lengthy process - gessoing the boards 10 times for a start! 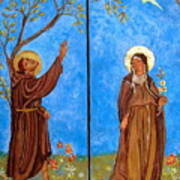 The entire tryptich is in effect 3 paintings, so the price is $900.00.